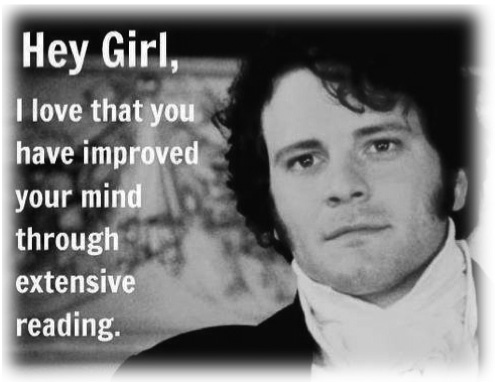 Oh Jane, you clever, clever girl. You write six novels and people love you for ever. How is it even possible that a clergyman’s daughter who has been dead for nearly 200 years still has all of her major works in print? OK, Colin Firth explains a lot. 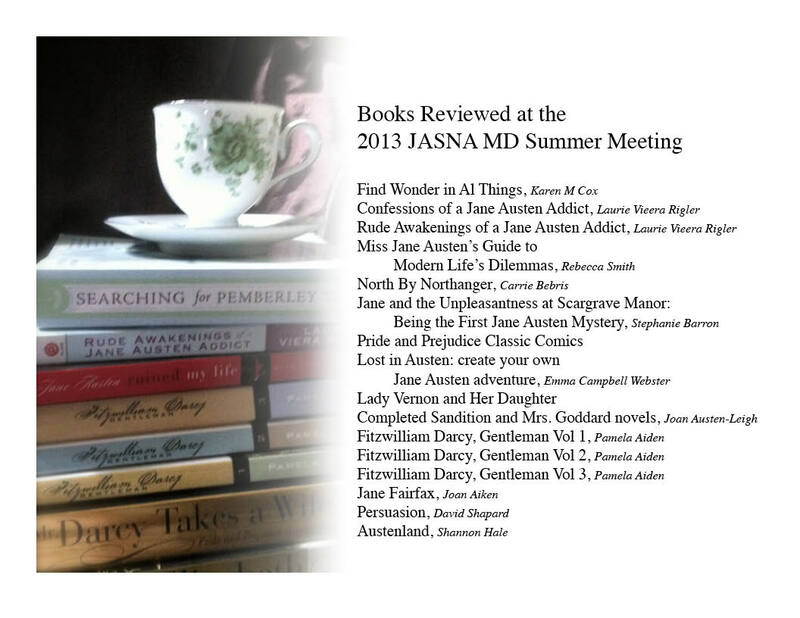 This weekend our local chapter of the Jane Austen Society of North America held a summer meeting that explored some of the books that are based on Austen’s works. Our little “Flash Book Club” had 16 presenters reviewing volumes both fun and scholarly. Our members did a fabulous job letting us know which books were worth purchasing and which to leave behind on the book shelf. 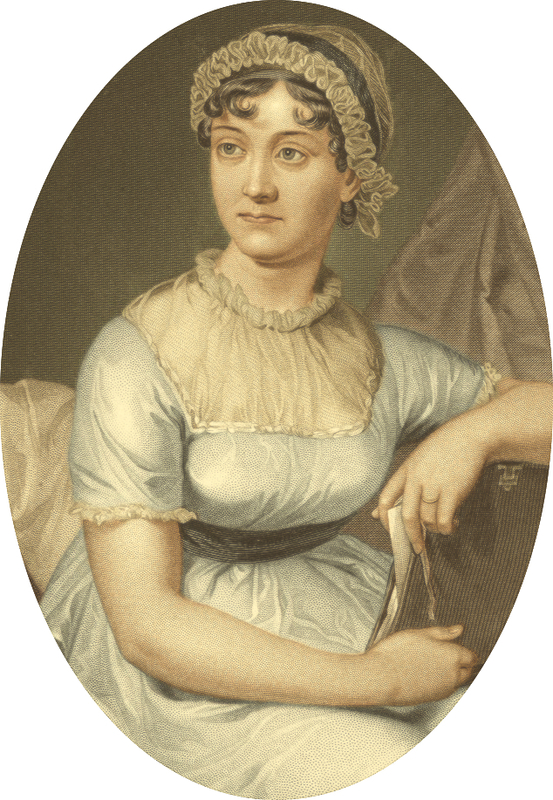 This entry was posted on Saturday, July 20th, 2013 at 9:45 pm	and tagged with Jane Austen, Pride & Prejudice and posted in Jane Austen, JASNA. You can follow any responses to this entry through the RSS 2.0 feed.